When her parents are condemned to death by Morgan Fay for the crime of reading, Arti Penderhagen becomes a fugitive. Hunted by Mordred, the sadistic police captain who recites poetry to enhance his physical strength, Arti escapes to the Isle of Avalon, a sanctuary for outlaws. 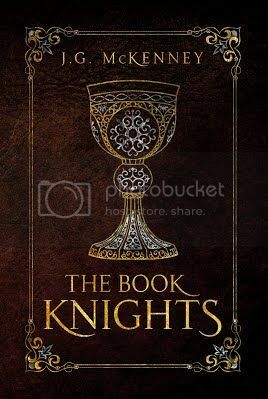 There she meets an old librarian named Merl who tells her about the Grail Tome, an ancient book in Morgan Fay's possession that can alter the course of history. Can Arti steal the book in time to save her family? The fire crept across the floor, devouring paper and carpet, gaining momentum as it spread. A thick, black smoke filled the room, rolling over itself like a storm cloud, ravenous flames growling hungrily as they climbed. A moment later, there was another sound: a deep, drum-like thudding, barely audible above the burning tempest. A lower section of the shelf separated from the wall, and a row of hard covers slapped the floor. More books cascaded to the carpet, and a groping hand emerged. The girl coughed violently, retching as she labored to breath amid the thickening blanket of smoke. She squeezed out from behind the book case, reaching back to pull a duffel bag from the cavity, pushing aside the dish, cup, and utensils her father had cast into the void in the rush to hide her. The bag held provisions, preparations made for a day they prayed would never come. Making sure her vidlink was in her pocket, she lifted the hood of her sweatshirt and with eyes clenched shut, crawled across the floor, dragging the duffel bag. Scalding heat seared her throat as she gasped for air, her face and hands feeling like they were on fire. Gulping a mouthful of acrid smoke, an intense wave of nausea washed over the girl, and she fell against the wall of books. She was helpless now, certain she was going to die. As the firestorm raged, her mind floated away from the horror. She was a young child again, sitting on her father’s lap, following his finger as it traced words on the page. She giggled and squirmed with excitement as the story unfolded, peeking ahead, eager to find out how the tale would end. Her mother leaned toward her from the adjacent chair, her smiling face awash in the light of the reading lamp. This is our secret, Arti. You can’t tell anyone. She could hear herself answer, I promise. When the story was done, she reached across with her tiny hand and closed the book’s cover. She smiled up at her parents expectantly, waiting to say the ritual words together. And they lived happily ever after. From somewhere in the cloud of her delirium, Arti Penderhagen heard the books on the shelves call to her, drawing her back to the present. Words echoed from their pages, guiding her hand along their bindings, showing her the way out. J.G. 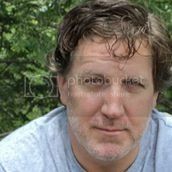 (John) McKenney is a writer and teacher. His first novel, EON'S DOOR, received the 2012 Reader Views Reviewers Choice Award, and was also a finalist for the Eric Hoffer Award.